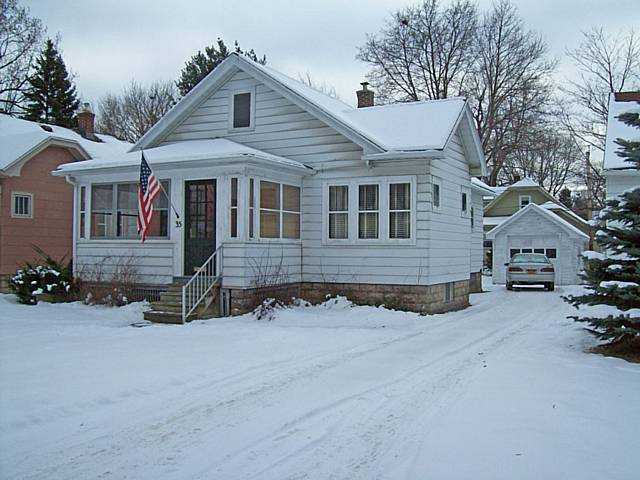 Exterior Before: Dingy siding and an enclosed porch left much to be desired. Exterior After: New paint (Behr Pencil Point) and opening up the front porch made a huge improvement to the home’s curb appeal. 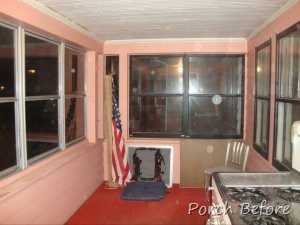 Porch Before: Pink walls and red carpet disguised hidden potential. 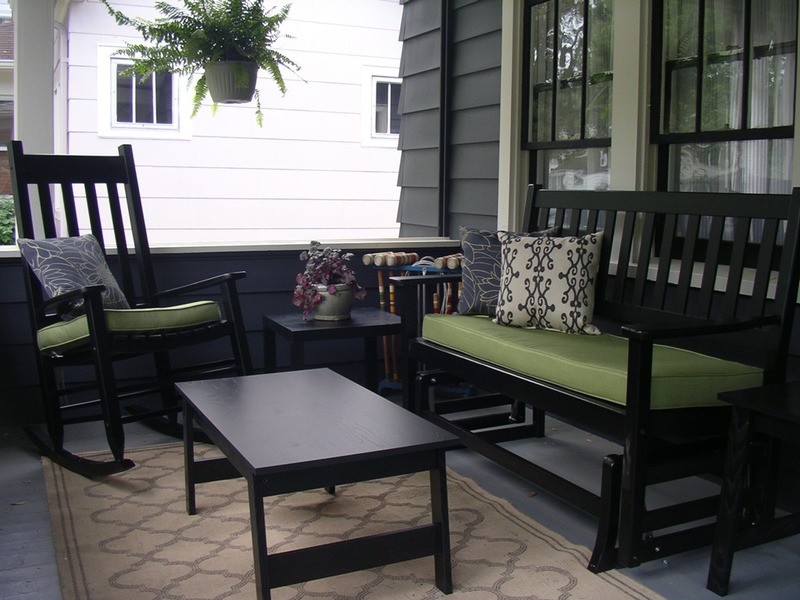 Porch After: Opening the porch along with some fresh paint and new furniture made a world of difference here. 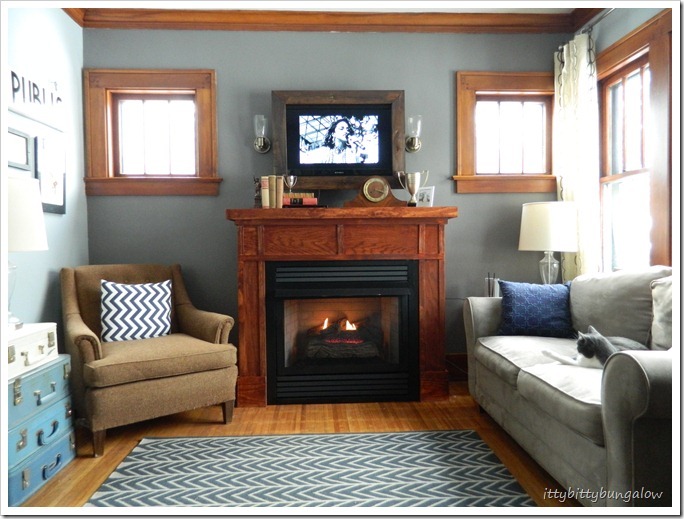 Living Room Before: A room with good bones but not much else. Dining Room Before: Dingy white paint left much to be desired here. 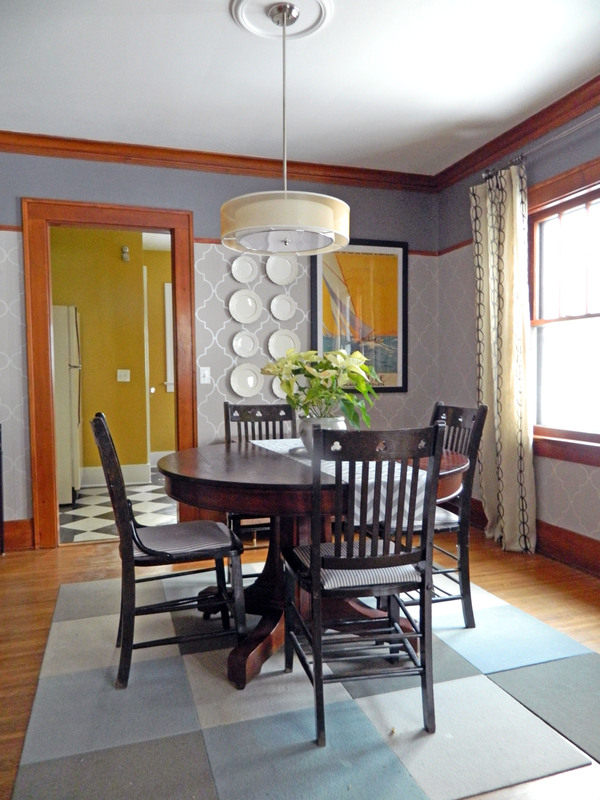 Dining Room After: Adding wallpaper and a picture rail added interest and formality to this space. 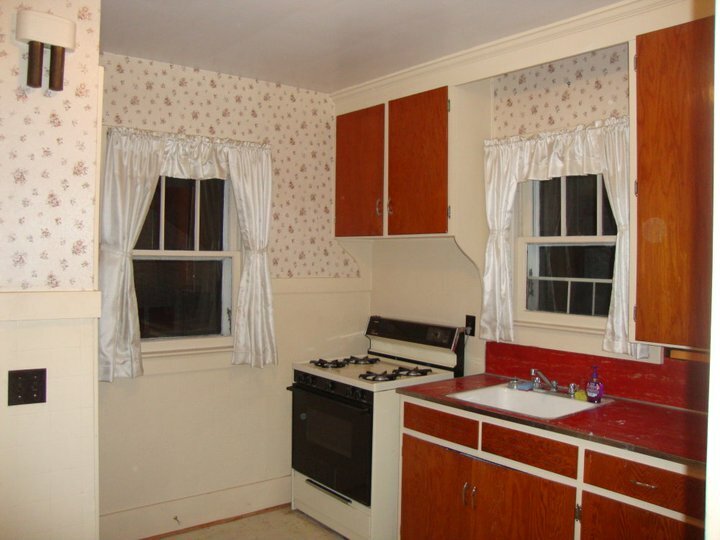 Kitchen Before: A red linoleum counter-top, floral wallpaper and polyester draperies begged for a simple update. 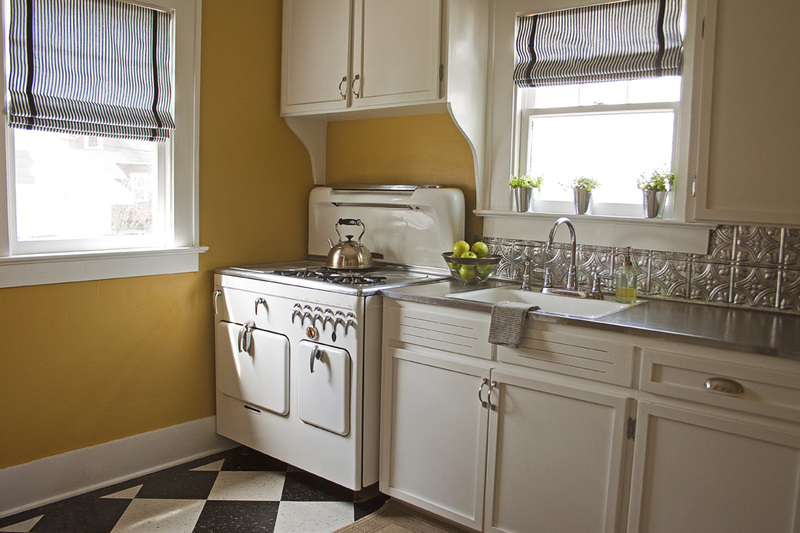 Kitchen After: A new floor, counter-top paint and DIY roman shades helped bring the kitchen up-to-date while still honoring its roots. 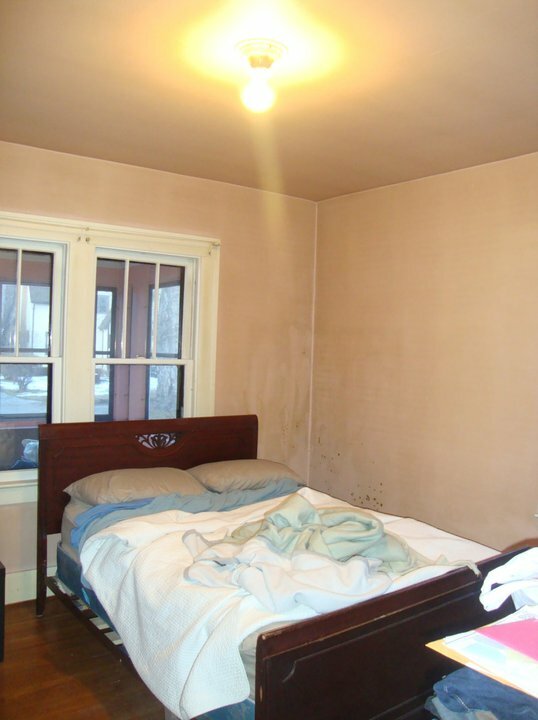 Front Bedroom Before: Still more pink walls with unidentified stains and a bare bulb light fixture left this room nowhere to go but up. Front Bedroom After: New paint (BM Weekend Getaway), a new bed and fresh linens made for an inexpensive improvement to this space. 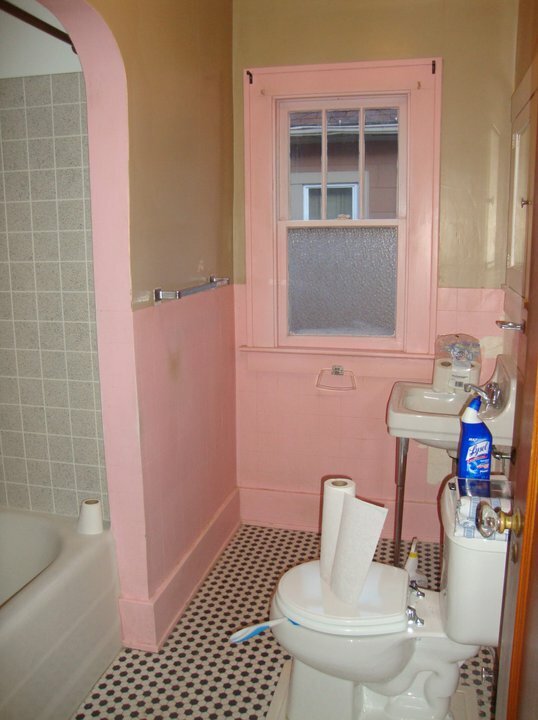 Bathroom Before: Pink trim and walls detracted from the orginal features like the hex tile floor. 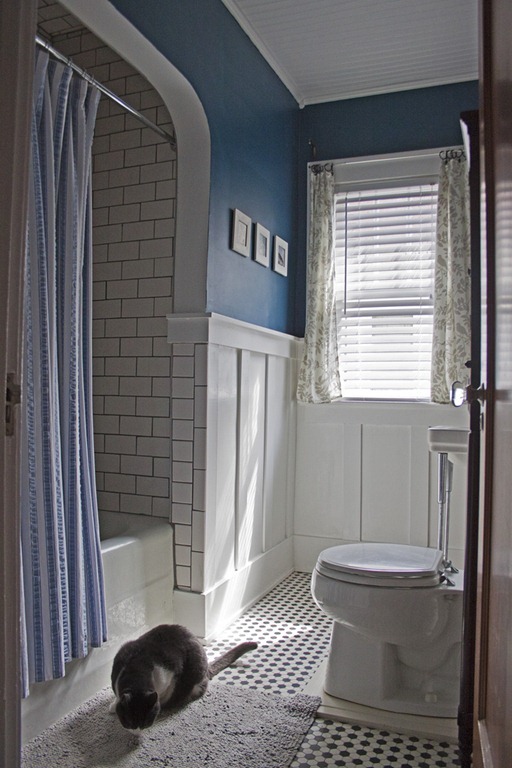 The addition of board and batten panels and a saturated blue (BM Blue Danube) added some snap to the bathroom. Love everything you did! We are in the process of purchasing a 1950’s home and my friend gave me a paint chip of Pencil Point. I googled it and your article came up. 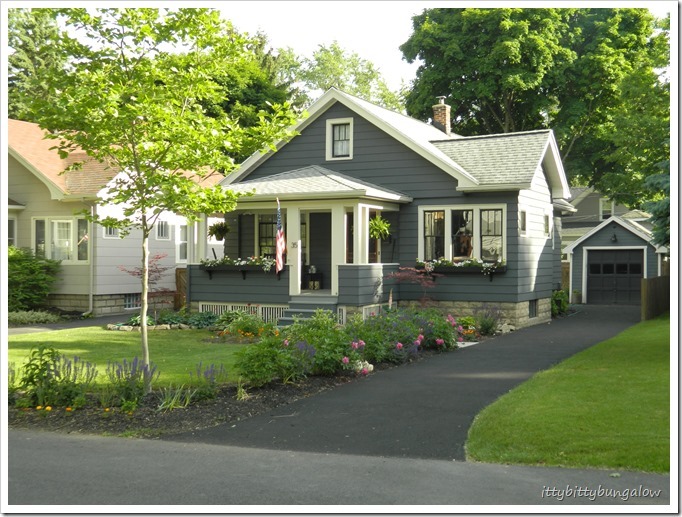 The exterior color did wonders for your home – it’s gorgeous! 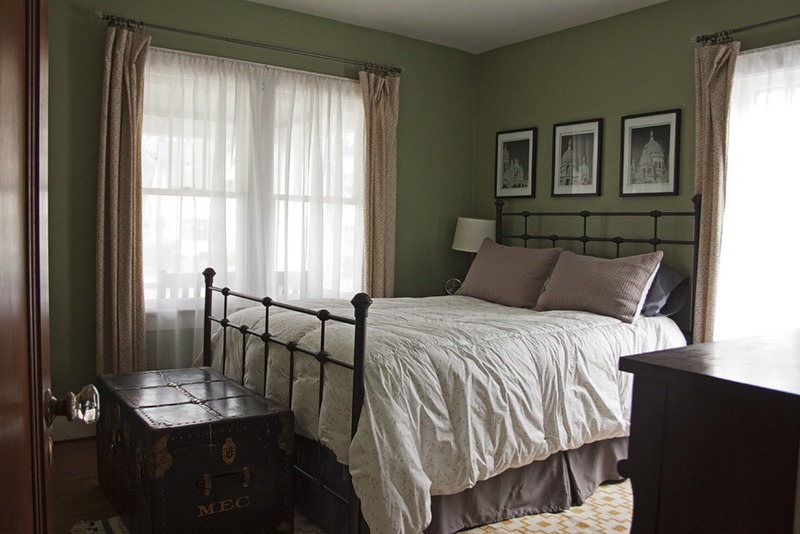 Have a 1924 house much like you. Not lawyers or young. How do we get the cash to replace, for example, our siding. 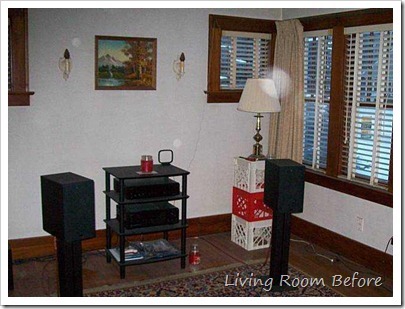 I heard you on the Radio today and I had to look at the pictures of your place once I got home, I have to say i’m not disappointed. The house looks amazing congratulations and great work. Such refined details on such a modest budget! Your whole house is a gem! I love your color choices for paint. Thank you for sharing the brands/colors with us! 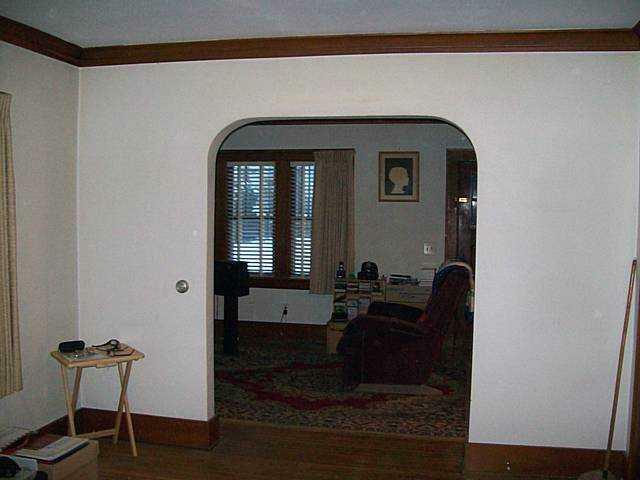 Where did you find your picture rail? I have Lowes, Menards, and Home Depot in town but none seem to carry picture rail. We also have an Ace – haven’t tried there. Did you have to order online or go to a specialty store? Thanks! I got it at Home Depot – its just some kind of narrow chair rail or something. Nothing special.